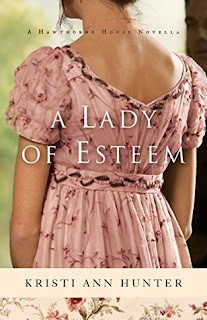 What stood out to me most about this book was the daydreaming and fantasizing of Daphne! It's something I've done, more at some times in my life than others. It was interesting to see how her fantasies faded as she became more present and invested in a real relationship and her own life beyond her son and the other children. I love the premise of this series, how the characters provide aid to women in desperate circumstances, even raising their children. Their haven came to an end, and it was fun to see them try to keep the secret from William, who kept discovering curiosities about his estate and the people who remained there. I also enjoyed Daphne and William's early perceptions of each other and the way they slowly became more comfortable... until the secrets rising to the surface could no longer be avoided. I was happy with the way the story ended, with a new future and direction for their humanitarian efforts. 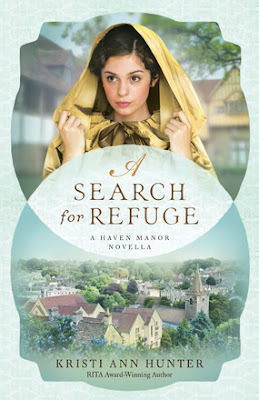 Looking forward to the next in the Haven Manor series! My favorite thing about this book is the contrast of personalities between Kit and Graham. They both have so much to learn from each other and both bring a new and fresh perspective to their friendship and relationship. Graham's cheerful and light-hearted nature brings joy to the children and the women who care for them. Kit's mission and purpose shows Graham a serious side to the consequences of society's dictates and he admires her determination to work towards solutions. 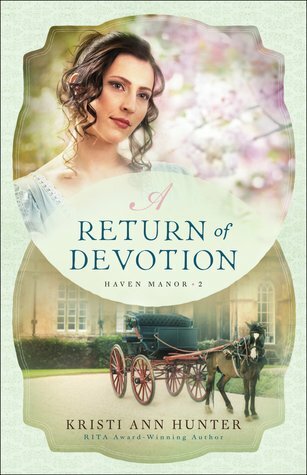 There is some danger and suspense as long-held secrets come to light, and Kit learns over time to do the right thing and trust God to provide solutions as she turns her cares over to Him. There is conflict that comes between Kit and Graham, but I loved what ultimately brings them together as they continue to pursue ways to help those in need. Loving this new series!!! 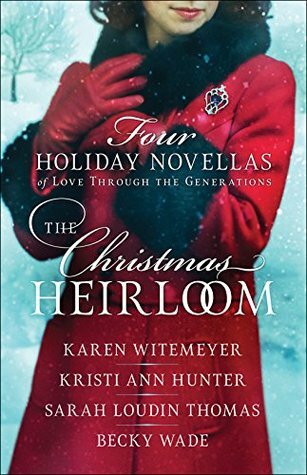 Don't miss the FREE prequel novella in the Haven Manor series . . . 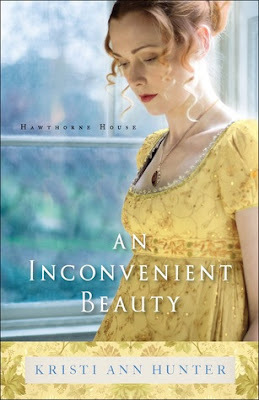 I was able to read each book in this series back to back, and it was so fun to be immersed in the Regency time period with the members of the Hawthorne family. This last book is Griffith's story, and I was excited for it since he was such a great character in the previous books. While the plot isn't too involved, it was enjoyable to see Griffith plan for one wife and end up falling in love with her cousin- who he discovers is unattainable, even for a duke. I admired his persistence while still trying to respect her wishes, and a sweet friendship formed amidst the attraction they felt but could not act on. There is some great humor to round out the angst and of course it was nice to read more about the continuing lives of Griffith's siblings and their spouses. I loved Griffith's relationship with his mother and the dynamics at play there. Of course it all works out in the end, and I especially appreciated Griffith's role in the conclusion and resolution of the obstacle that plagues Isabella. 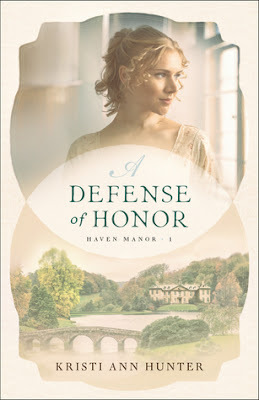 Check out the previous books in the Hawthorne House series . 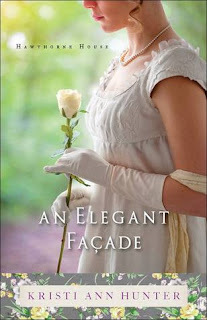 . .
Miss Amelia Stalwood may live in London at her absent guardian's townhouse, but she's never actually met any nobility, and instead of aristocrats, her closest friends are servants. Quite by happenstance, she's introduced to the Hawthorne family and their close family friend, Anthony, the reformed marquis of Raeburn. They welcome her into their world, but just as she's beginning to gain some confidence and even suspect she may have caught Anthony's eye, she's blindsided by an unexpected twist in her situation accompanied by nasty rumors. Will she lose her reputation when the world that has only just accepted her turns its back on her, or will she rest in the support of the friends who've become like family and the man who's shared his faith and captured her heart? 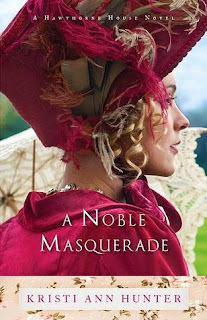 Life for Lady Adelaide Bell was easier if she hid in her older sister's shadow--which worked until her sister got married. Even with the pressure of her socially ambitious mother, the last thing she expected was a marriage of convenience to save her previously spotless reputation.